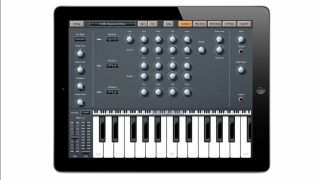 Developer TBStuff has unveiled iTuttle, a new monophonic subtractive synth for iOS. iTuttle features nine oscillators, a white noise generator, a filter section, three envelopes and two LFOs. There's an eight-slot modulation matrix, built in arpeggiator and a stereo delay effect, all of which amounts to plenty of sound design possibilities. iTuttle requires iOS 6 or later, and is available to buy from the App Store now price £6.99/$9.99.